A handheld GPS device comes in handy while hiking as it lets you navigate your way easily when the visibility is poor or the landscape has little or no distinct features. Lechal – a reliable device with buckle (which ties into your laces), like Lechal which is a smart insole, comes as a major help during your outdoor activities. 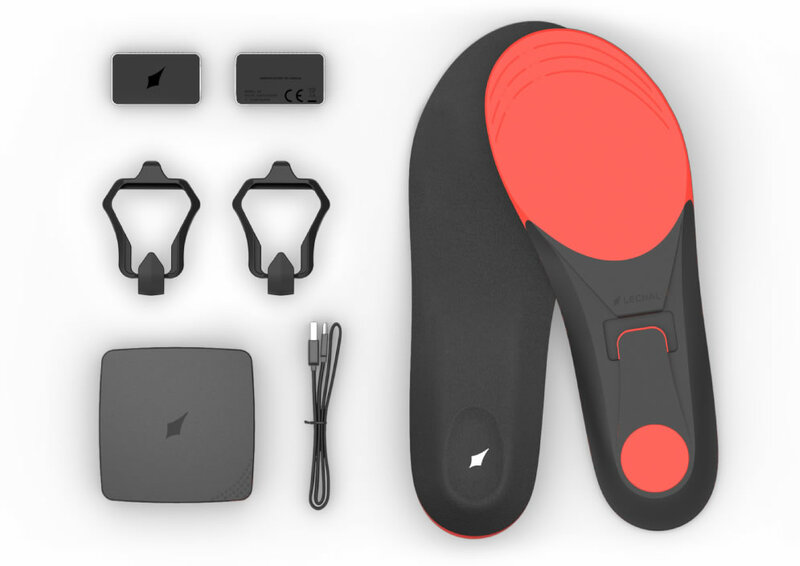 Lechal insoles are built with haptic technology and GPS navigation. Provides heads up, hassles free, hands free navigation easily. Lechal even works offline –which means you can wander off with no internet or data connectivity or get oﬀ a plane in a new country and Lechal will work, always in all ways. With Lechal as your companion for hikes and all terrain activities, you don’t get lost in the first place – you rather enjoy getting lost. It comes with a long battery life and is absolutely waterproof. Garmin etrex Touch 35 – one of the lightest and smallest GPS device suitable for hiking, trekking, hunting and all sorts of outdoor terrain activities. It is quite user-friendly, lets you share your routes, tracks and waypoints – wirelessly. The electronic compass shows direction even when the device is not completely leveled (e.g., 3-axis tilt-compensated electronic compass). Another nice feature is you can get smart notifications and weather condition prediction with the built-in Barometric Altimeter and the ant+ connectivity. The 2.6-inch color, capacitive touchscreen display is easy to read in strong sunlight and at night-time. We like that you can create what Garmin calls “Activity Profiles”. The are easy-to-use navigation guides for multiple activities including: climb, hike, hunt, bike, geocache, fish and more. Built-in mapping – all models feature worldwide base map with shaded relief, while the 35t comes pre-loaded with either USA 100K or Canada topographic maps. Order the Garmin etrex Touch 35 through Amazon for about $240. Satmap Active 12 – a detailed large screen, sports-topographic mapping GPS device. This is an easy to use device with advanced features like a barometric altimeter which shows accurate pressure and elevation data. Built with a bike speed/cadence sensor support – it also comes with Bluetooth smart heart rate monitor to accurately count your activities, a rechargeable LiPol battery, carry case, charging accessories, a USB cable for charging, downloading and uploading data and lanyard. Garmin 64st – a rugged, 16-hours long battery life, full-featured handheld GPS with wireless connectivity, 2.6- inch sunlight-readable color screen, 3-axis compass that comes with barometric altimeter. You can stay connected wirelessly and still receive emails and operate a heart rate monitor. With a quad helix antenna and a GPS built with high sensitivity, you will always find your way out from the deepest of woods in the jungle or anywhere out from the tall buildings. Improve the efficiency of this world, and help the environment by going paperless – as this device stores and displays all your key information, location, terrain, descriptions, etc. without the need for you to carry any paper material with you on your hike. Garmin GPSMAP 78sc Waterproof Marine GPS and Chartplotter – a light-weight, marine-friendly handheld GPS unit which floats in water and still shows your location. Whether you use it on land or in water, it comes equipped with a high sensitivity GPS receiver that quickly acquires satellite signals in the most challenging conditions for a rock-solid performance. It comes pre-loaded with BlueChart g2 U.S./Bahamas coastal charts with shorelines, depth contours, nav-aids, harbors, marinas, and more. Store up to 500 of your selected favorite places in the memory and transfer data to your device through USB connection on your computer. It comes with a rechargeable NiMH battery kit that lasts up to 18 hours, mounts, wrist strap and a universal carrying case. For our readers in the UK, you have some other options and requirements. For instance, all the GPS unit above are great for navigation around the US, Canada and surrounding areas but won’t get you too far in Europe. To help out, here’s a link for a review of UK specific devices: What is the Best Handheld GPS for Walking and Hiking? Wherever you are going, bring the right equipment and always travel safe.